Album Health authentically has a transformative approach. This webinar describes the partnership between Album Health and Meredith Corporation. Our personalized, data-driven approach leads to meaningful health change and savings. Album Health is a Featured Company in InsurTech Week 2018! InsurTech Week is an opportunity for the insurance industry to participate in a number of innovation activities with the Global Insurance Accelerator. The activities include innovation presentations, co-working, networking, education and match-making for pilots and capital raises. The GIA’s investors select a group of early/growth-stage companies to highlight the week. These selected companies take advantage of promotional, co-working and networking opportunities as well as subsidized hotel costs. InsurTech Week differs from the traditional GIA Accelerator Program in that there is no equity exchange and no residency requirement, making participation possible for entrepreneurs at every stage. InsurTech Week is open to the public. The activities are designed to connect professionals with innovative companies through one-on-one meetings, presentations and networking activities. Meredith Corporation and Album Health began working together in 2015, piloting an innovative solution focused on optimizing employee health and reducing/slowing medical spending. As an established leader in the health and wellness space, leaders at Meredith and Album Health realized that the key to sustained health improvement and reduced/slowed medical spending was to create a simple, personalized solution for each employee that focused on behavior change and addressed all aspects of all aspects of health, including emotional well-being. Through a simple, personalized and “total health” approach, Meredith and Album believed that they would achieve optimal health, medical savings, strong engagement, and satisfied employees while simplifying and unifying health and risk-reduction strategies to one core solution (versus distinct solutions in disease management, health coaching, digital therapies, and engagement). 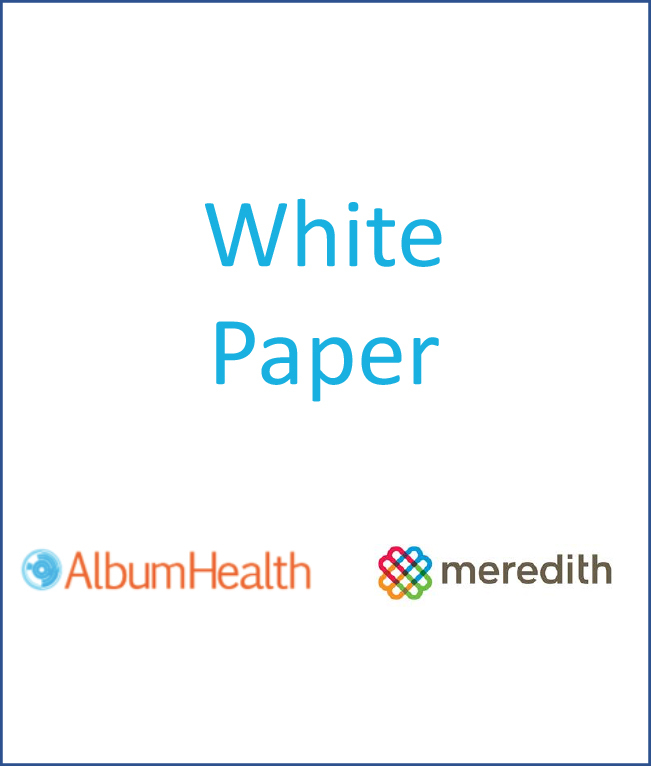 The white paper to the right briefly investigates the current state of health and medical spending, employer well-being, and health-based solutions, while primarily focusing on the Album Health solution introduced at Meredith Corporation, results, and implications for employers and other risk-bearing entities.